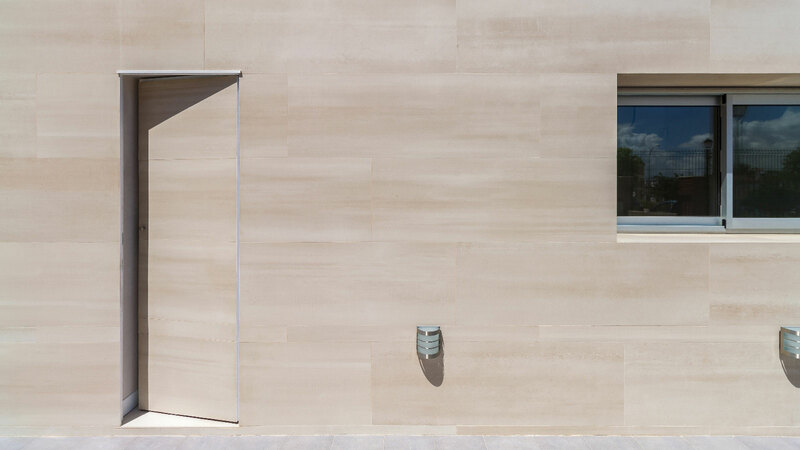 Two stony overlapped volumes make up the exterior of this house. 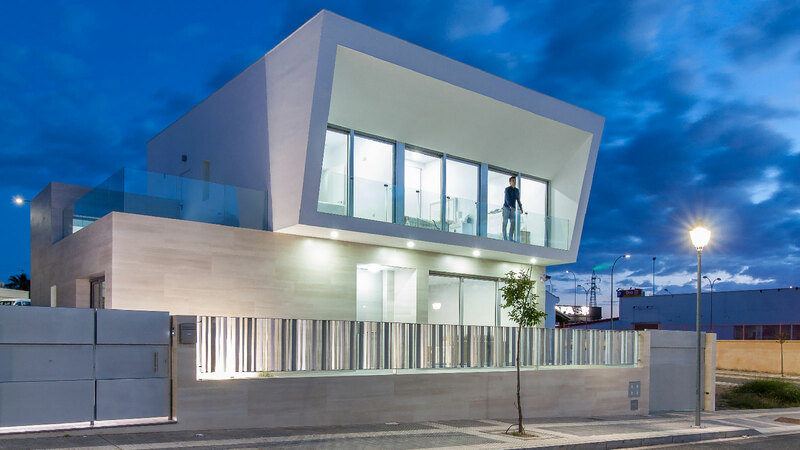 González Morgado Arquitectura and Estudio T10 have created a contemporary house in the south of Spain in Lepe, through the reproduction of traditional architectural standards. Their sandy tones encourage anyone to be calm in the middle of nature, as well as having the general structure of the building balanced. Dialogue for new times. Both the exterior and interior of the house stand out because of the material continuity. 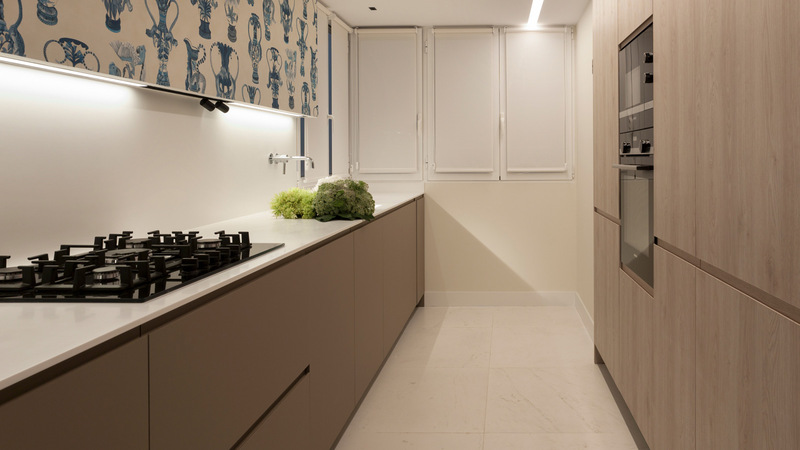 A result of the transformation carried out with the large-format ceramic sheets. 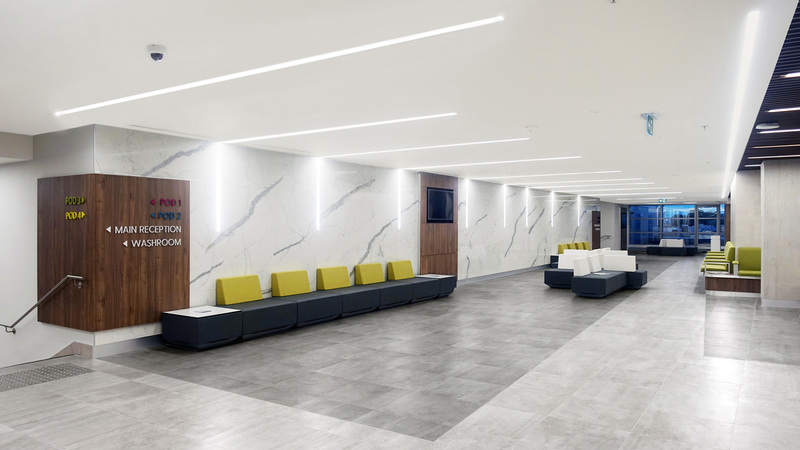 The façade, located on the first level, has been covered with the XLIGHT large-format porcelain tile from Urbatek on which one can find a lighter material that traces the rest area. The structural shape of the latter creates an overhanging balcony which frames the upper part of the building which in turn, works as a roof for the lower garden terrace. 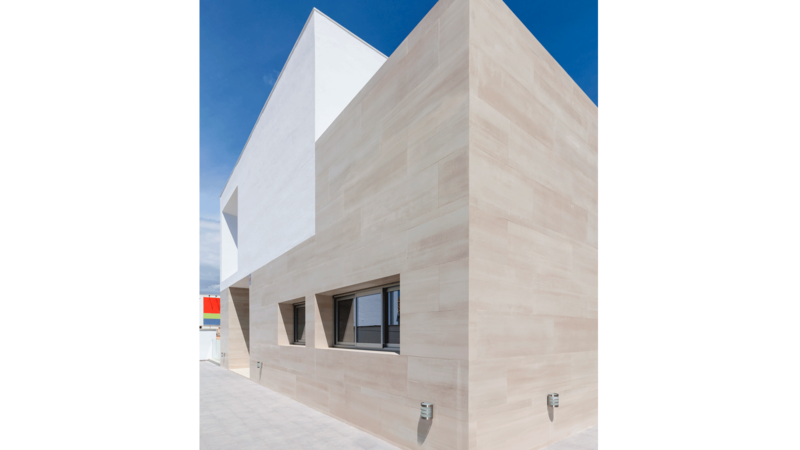 The XLIGHT pieces which cover the different volumes of the façade meet every detail of the 100cmx 300cm format with a 3.5mm minimum thickness. Large-format ceramic which changes through cut-to-size, and furthermore, it avoids material waste. 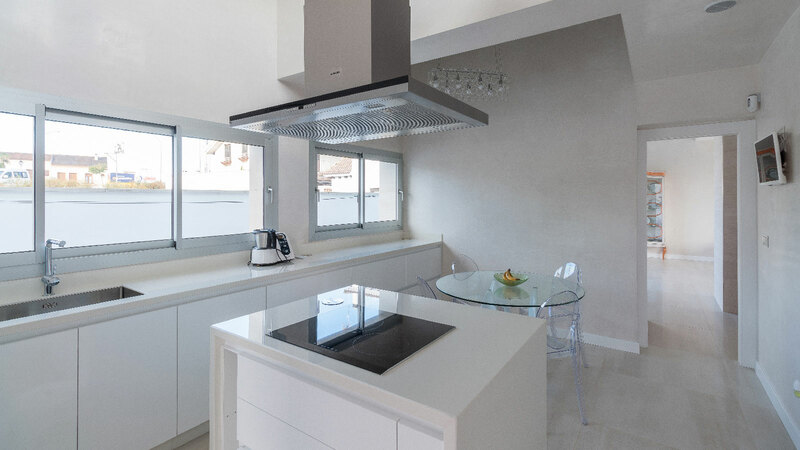 Design at the service of architects. In this way, in the exterior, the windows and balcony lintels, window boxes and other details such as the doors coverings remain hidden. 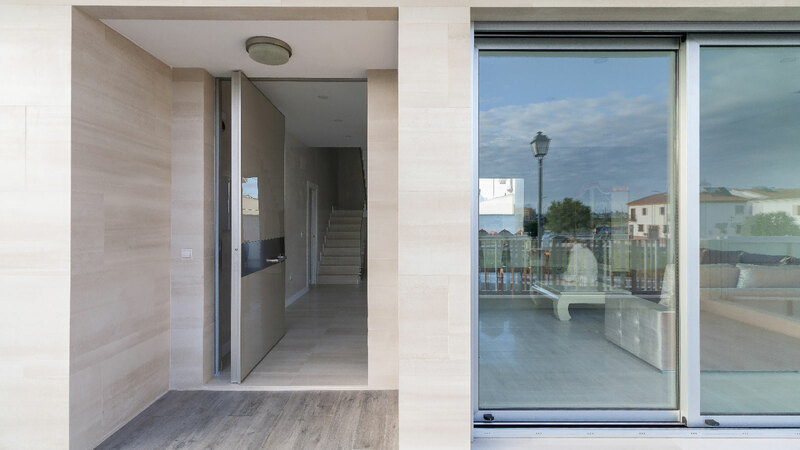 Furthermore, its versatility and lightness achieve in creating integrations such as the one of the access doors itself where one can find this very same covering. Furthermore, in order to get the perfect placing of this XLIGHT facade, adhesives, joints and specified leveling jumper struts by Butech were used. 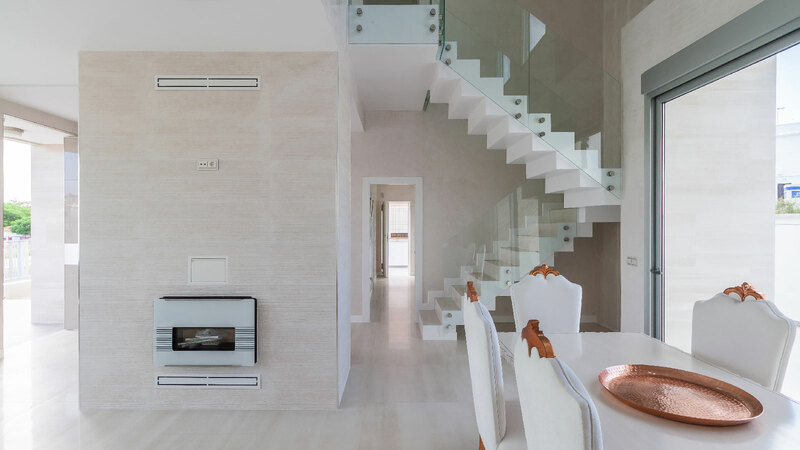 The room finishes which make up the interior offer the same aesthetic as the exterior: cement in a Beige tone, stone, glass and metallic profiles. 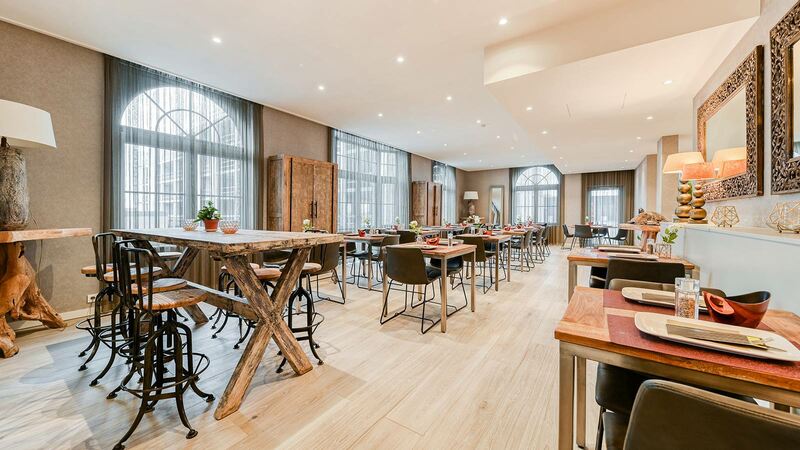 On the ground floor, where the kitchen, dining room and corridors are, everything is blended in with a same atmosphere with the same Concrete porcelain flooring from Urbatek. 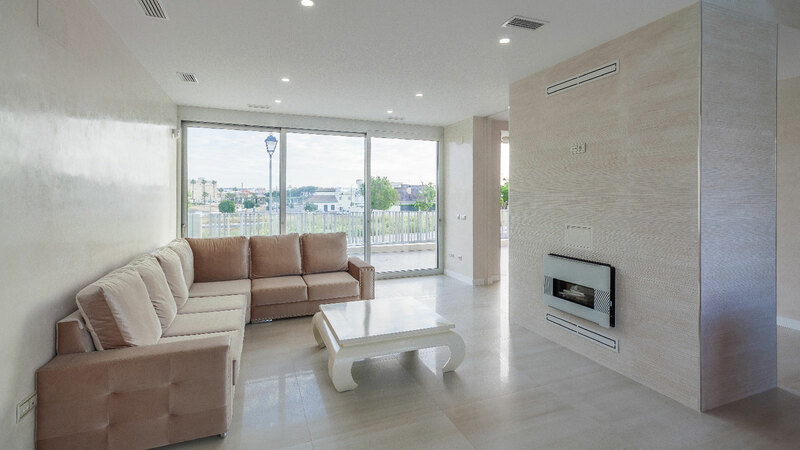 The front side of the chimney stands out because of the Avenue Beige wall tile (33.3cmx100cm) from Venis with a realistic natural stone texture. 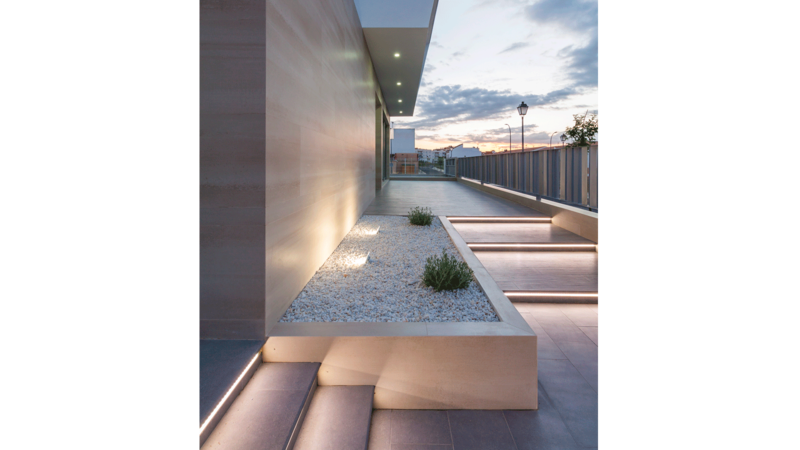 The versatility from Urbatek extends the same material from the stairs leading to the upper floor, and there, the bathrooms and terrace are designed with the anti-slip finish of this porcelain tile. Material to conceive the space without any limits.